Fall is my absolute favorite time of the year. The air gets cool, the leaves are beautiful, and the bin of sweaters makes its triumphant return from the attic. It’s also nice because there are just as many fun activities for families to do in the fall as there are in the spring and summer. Here are six of my favorite things to do to pass the time during this time of the year. 1. Leaf Diving – Can yard work be fun? If you’re going leaf diving, it can be! Just rake some leaves in a big pile and jump on it. It’s a classic fall activity that never goes out of style. 2. Pumpkin Picking – Pay a visit to your local pumpkin patch and pick out pumpkins together. If you’re getting more than one, pick out at least one pumpkin that’s a little on the deformed side. Ugly pumpkins need love too! 4. Hayride! – If you have access to one, a hayride is one of most fun fall activities there is. Just be sure to bring along a thermos full of hot apple cider to make the experience complete. Bundle up, too if it’s cool out! 5. Hunt Some Leaves – A stroll through the woods in the autumn can be so relaxing (trust me, I know!). To make it fun for the kids, challenge them to find the most colorful leaves and then take them home to display on the fridge. 6. Get Lost in a Maze – If you’re lucky enough to live near a corn maze, you should definitely pay a visit during the fall for a fun family outing. Most maze attractions also offer other activities, like petting zoos and obstacle courses. 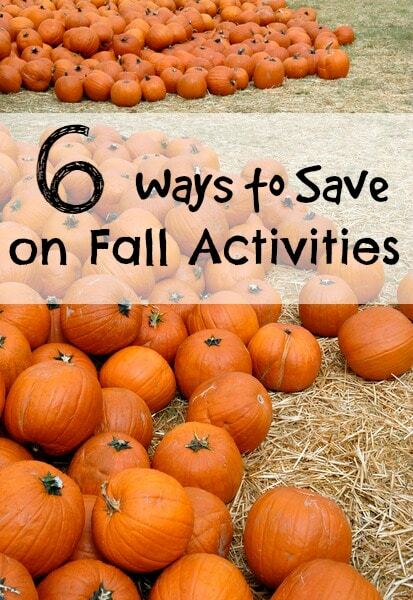 What activities do you like to do during the fall with your family? this is the perfect time of year to make your thanksgiving place mats. When you are leaf hunting find leaves that aren’t yet crunchy and will hold up for a bit. I take some white packing paper and cut it into place mat size pieces. then we do scratchings of the leaves. the kids pick whatever color crayon or pastels they want and use whatever leaves they want. It is so much fun. we then put them aside for thanksgiving. When we are setting the table they get so excited to pick who gets what place mat. I know my granddaughters love jumping in the leaves. Although we often go stone hunting I haven’t thought of leaf hunting. It’s a great idea. I really like the craft idea from above as well.